Low Level Laser Therapy (LLLT) can be used in a variety of ways to help promote good health. LLLT uses rays of light to increase blood flow. This has been known to help speed healing of incisions, relieve muscle pain, and even help arthritic joints. This is a safe, effective, drug free way to help your pet. For more answers, please call, stop by, email, or even check out our blogs! NEW OPTIONS! 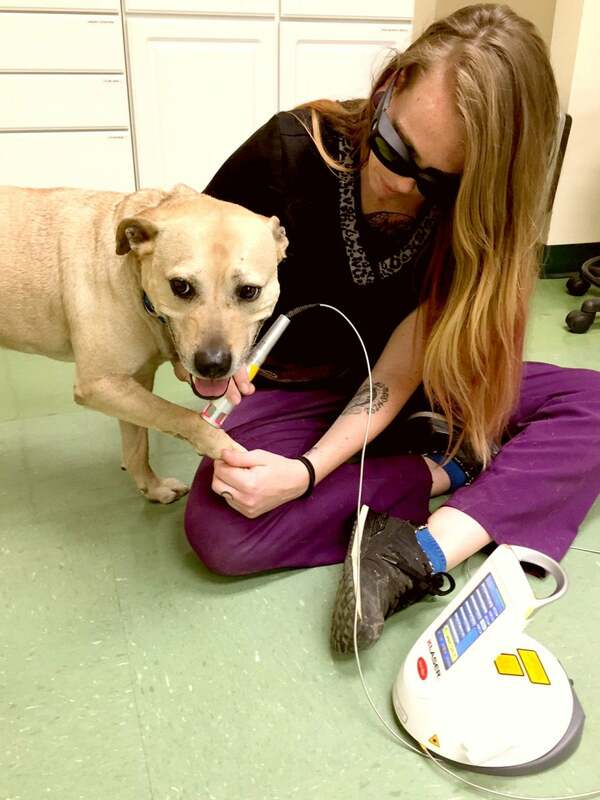 We are having such great success with our laser treatments, we want to make it accessable to as many people/pets as possible! To that end, we have set up a punch card system! You can purchase one at a time (pay as you go, if you will), or pre-purchase a package of 6 for $214 (a $25 savings!) and either one will get you your 7th treatment FREE! Ask for more information!